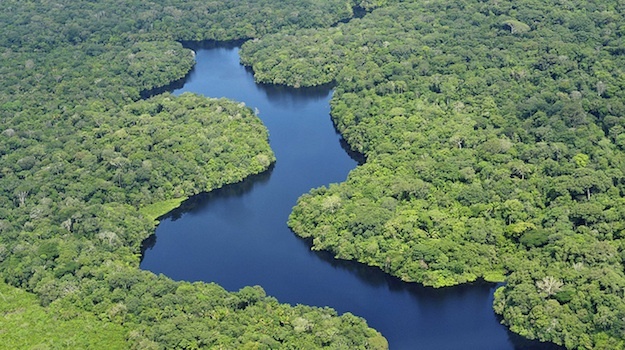 Amazon - more than just a rainforest. You could easily saunter through life without ever using Amazon S3. Out of the four backup options that ManageWP offers (the others being email, FTP and Dropbox), it is perhaps the least well-known. Not only is Amazon S3 both reliable and secure, it is free for the first twelve months (within reasonable data transfer limits). Beyond its free service, the pricing structure is extremely reasonable, starting at just $0.055 per GB. For ManageWP users, we believe that the cost of using Amazon S3 is a price well worth paying. Amazon S3 is an incredibly powerful system, and as such, it can be a little overwhelming for the new user. 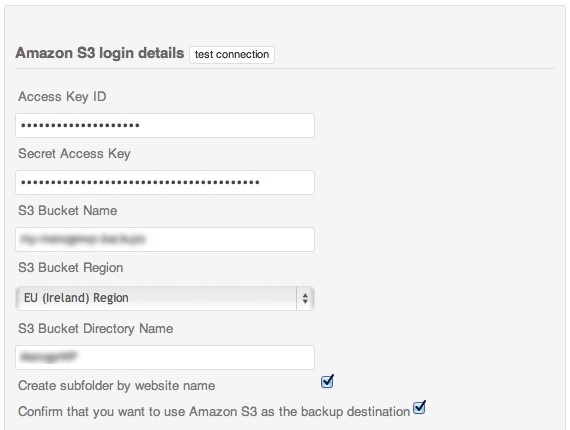 But getting your backups stored with Amazon S3 will only take a few short minutes to set up with this guide. Head over to the Amazon S3 site and hit the “Sign Up Now” button. If you are an existing Amazon member, you will have the opportunity to sign up via your existing account. Otherwise, you will need to set up a new account. Either way, it’s a piece of cake. A “bucket” is the equivalent to a folder on your computer, and we need to create one to store your WordPress site backups. Once you have signed up, you should receive an email from Amazon pointing you in the direction of your account page. 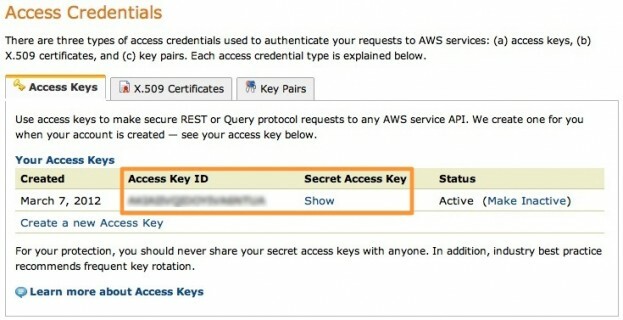 On this page, click the AWS Management Console link. You will then be presented with a screen that seems a little overwhelming – but don’t worry, we only need to do one thing. Enter a bucket name (this must be completely unique, so we would recommend that you preface it with your ManageWP username, or something similar), the region that is most appropriate to you, and hit “Create”. Make a note of these two keys. You may notice the “S3 Bucket Directory Name” field near the bottom. Entering something in this field will create a directory in your bucket of the same name, which will store the backups associated with this particular backup task. And that’s it folks! Once you have Amazon S3 set up and your backup tasks running, you can rest assured in the knowledge that your websites are safe. Isn’t it bad practice to use the Root account credentials for anything. I mean your suppose to create a user, set privialages for only the tak that account is for and use those keys instead. I’ve given this a go and havent been able to transport the file successfully over to Amazon. It’s a large website and so I don’t know fi that’s causing the issue. I’ve put in a support ticket but thought I would tag this post to let you know I’ve given it a go and not successful.